Scientists of Duke university developed a method of converting carbon dioxide into methane, a component of many fuels. 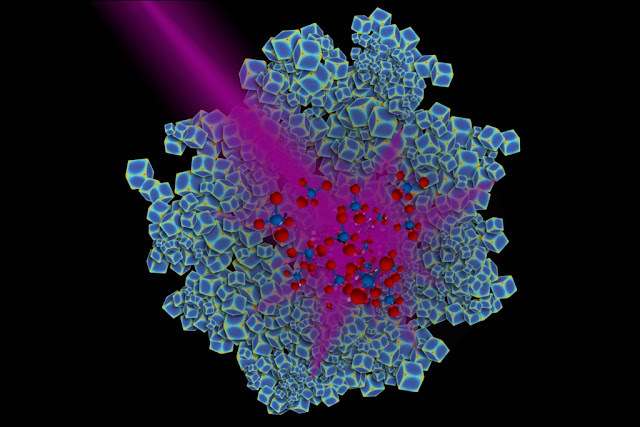 The method involved using ultraviolet light and tiny nanoparticles of rare metal rhodium. This new method can be used for the reduction of growing levels of carbon dioxide in the atmosphere and leads to the development of alternate energies without the formation of unwanted products such as carbon monoxide. Rhodium is chosen for the experiments as a small amount of the rare earth metal is already used as a catalyst in an industrial process for the production of fertilizers, detergents, and pharmaceuticals. -The researchers found that by shrinking bits of rhodium into nanoparticles via process plasmonics and further blasting them with UV light eliminates the generation of unwanted products. -when the nanoparticles are illuminated by U.V light the chemical reaction yielded mostly methane. Future research involve, studies to see if the light can be used for other chemical reactions in which rhodium acts as the catalyst.